According to Thomson Financial, earnings at S&P 500 companies are expected to grow just 3.8% in the second quarter, as the downturn in the housing market took its toll on profits from companies that depend on U.S. consumers. While profit estimates may well rise in coming weeks, it seems very likely that earnings growth will again be below 10%, according to John Butters, senior research analyst at Thomson Financial. In the first quarter, earnings for S&P 500 firms grew 8.3%, according to Thomson Financial's latest estimate. This marked the end of a record streak of 14 consecutive quarters of double-digit earnings growth. Earnings slowed as the U.S. economy grew at a sluggish 0.6% during the quarter. Wall Street had still cheered the first-quarter performance, which came in better than initially feared. At one point, first-quarter earnings were expected to grow just 3.3% as companies told analysts to lower their expectations. Similarly, expectations for the second quarter may also be lifted. "There is a sharp deceleration of earnings growth," said Butters. "But we're still in a wait- and-see mode. It was the same story in the first quarter but then many companies beat estimates by a wide margin." Let's back-up to the first quarter to see what happened. 1.) Analysts lowered their expectations, which lowered growth projections. Then companies beat those low projections pretty handily. This made earnings look better than they were. 2.) Companies are quite adept at managing earnings. It's incredibly important to remember that companies have public relations people who know how to transmit specific information. By lowering expectations, companies can make a weaker quarter look better than it actually is by beating lowered expectations. 3.) We had this exact same pattern last quarter. That does not mean we will have a repeat this quarter. But it is interesting that events are unfolding in the same way up until now. It's important to remember the interlocking nature of the world economies now. Global growth was credited with helping many firms beat estimates in the first quarter. At the same time, a lower dollar helped boost the earnings of multinationals, which translate overseas revenues in advantageous terms, while also boosting demand for U.S. exports. A weak dollar probably helped again this quarter but the contribution to earnings won't necessarily be much better than in the first quarter. The dollar has halted its slide and regained some ground since late April. International sales were a big boost to larger companies in the first quarter. Because foreign economies are still growing at a good pace there is no reason to expect this trend to stop. With the housing market continuing to worsen and gasoline prices surging, pressures are building on U.S. consumers. The US consumer remains a wild card in the whole affair. Remarkably, the US consumer is still spending money. Personal consumption expenditures increased .5% in the latest BEA report. The last batch of retail reports was fair -- nothing to write home about but not horrible. In short, the US consumer still appears to be spending money. However, with higher gas prices and the home ATM drying up, there is an important question of will the trend continue. Wednesday the commerce department reports retail sales. Expect a lot of focus on this number. I was watching Blomberg TV this morning (I know, I really need to get a life) and two money managers gave their opinions about the current situation. Both agreed with the following analysis of the markets right now. 1.) On one hand, you have the 10-year Treasury yielding 5.11% and an effective Fed Funds rate of 5.25%. In other words, cash has a decent yield right now with very little risk. -- According to Barron's, the S&P 500's PE is 18.42. This isn't cheap, but it's not expensive. -- Interest rates are increasing, which may dampen some M&A activity and slow consumer borrowing on things like houses. -- Where will second quarter earnings come in? Will international sales once again save the day? There are a lot more variables to the equity market right now, especially compared to the lay-up of investment in cash. There's been a lot of action this week. Take the rest of the day and relax. I'll be back tomorrow with more about what happened this week. The U.S. Census Bureau and the U.S. Bureau of Economic Analysis, through the Department of Commerce, announced today that total April exports of $129.5 billion and imports of $188.0 billion resulted in a goods and services deficit of $58.5 billion, $3.9 billion less than the $62.4 billion in March, revised. April exports were $0.2 billion more than March exports of $129.2 billion. April imports were $3.6 billion less than March imports of $191.6 billion. In April, the goods deficit decreased $3.7 billion from March to $67.1 billion, and the services surplus increased $0.2 billion to $8.6 billion. Exports of goods were virtually unchanged at $91.1 billion, and imports of goods decreased $3.6 billion to $158.2 billion. Exports of services increased $0.2 billion to $38.4 billion, and imports of services were virtually unchanged at $29.8 billion. In April, the goods and services deficit was down $3.8 billion from April 2006. Exports were up $12.8 billion, or 10.9 percent, and imports were up $8.9 billion, or 5.0 percent. The cumulative year to date trade deficit total for 2007 is 6.6% less than the year to date totals in 2006. Since January 2005, exports have increased 26.68% while imports have increased 19%. At this pace, it will take a long time for exports to catch-up to imports. This means it's pretty doubtful we can simply export our way out of the trade deficit. Here's a chart of the difference between imports and exports going back to January 2005. Notice there really isn't a meaningful difference between the numbers for the past 2.5 years. The markets are in selling mode right now. All of the major averages have broken their uptrends on heavy volume. In order, here are the DIAs, SPYs, QQQQs and IWNs. Also notice the utilities and transports are declining. Utilities are declining on heavy volume. Finally, notice that financials broke support on heavy volume. This is the largest segment of the S&P 500. The retail sales numbers obviously spooked traders yesterday, as both the consumer staples and discretionary ETFs dropped, also below their trendlines. The latest monthly results came on the heels of an April showing that was among the worst on record on a comparable basis. Though surging gasoline prices helped to dull consumers' appetite for shopping during the month, much of the April weakness stemmed from bad weather -- which hurt demand for spring fashions -- and an early Easter. Now, the bigger worry is that the slumping housing market will damp shoppers' spending through the summer and beyond. The industry's same-store sales, or sales at stores open at least a year, increased 2.5% last month, according to an index of 50 major chains compiled by the International Council of Shopping Centers. That is an improvement from April's 1.9% decline, but it falls well short of the 4.5% gain retailers recorded in May 2006, said Michael Niemira, chief economist at the New York-based trade group. "Year to date, we've seen a modest pace of spending relative to last year, the year before that, or the year before that," Mr. Niemira said. "We have a consumer slowdown -- it's real, it's continuing and largely driven by the slowdown in housing." While retail spending may be slowing, overall personal consumption expenditures are increasing at near the same pave they have been for the last four quarters. While the reason given for this sell-off is the 10-year rising above 5%, I think this is simply traders taking profits. While inflation concerns are increasing, we're far from a dose of high inflation. And as I have said before, 5% isn't that high. Yields were higher during the later part of the 1990s and the economy did fine. Short version: So far, I think this is a profit taking sell-off. However, there is always the possibility that analysis will change as more data becomes available. NDD posted a response below that made an good point. Here is a chart of the 10-year constantly maturing treasury from the St. Louis Fed. The chart goes back to 1995. Notice two things. 2.) Yields were a lot higher at the end of the 1990s with little impact on overall GDP growth. U.S. Treasuries fell, pushing the 10- year yield above 5 percent for the first time since August, as traders added to bets interest rates will rise around the world. Two-year yields also gained after New Zealand policy makers unexpectedly raised rates today and the European Central Bank lifted its benchmark to a six-year high yesterday. Futures traders added to wagers today on further increases by the ECB and the Bank of England, and reduced bets the Federal Reserve will need to lower borrowing this year to fuel economic growth. The yield on the benchmark 10-year note rose 4 basis points to 5.01 percent as of 11:42 a.m. in London, according to bond broker Cantor Fitzgerald LP. The yield is the highest since August 15. The price of the 4 1/2 percent bond due May 2017 fell 10/32, or $3.13 per $1,000 face amount, to 96 1/16. Bond yields move inversely to prices. Traders like round numbers, and 5% most certainly qualifies. There have been several articles over the last few days citing traders statement that 5% was an important level for Treasuries. If the 10-year crossed this level, the next stop was 5.25%. Traders see an 18 percent chance the Fed will lower its benchmark rate to 5 percent by year-end, compared with odds of 40 percent last week and 98 percent a month ago, according to Fed funds futures. The decline followed reports showing the services sector and employment grew at a faster-than-expected pace in May. In one week, sentiment has really shifted away from the Fed cutting rates. Despite the Federal Reserve continuously stating for the past few months that inflation was their main concern, traders simply didn't listen until recently. Frankly, I still don't see what the big fuss is about. 5.25% isn't a high interest rates. Actually 5.75% isn't that high, either. The 10-year was trading at higher levels during the 1990s and the economy did just fine. I think adding to the problem is equity traders are looking for a reason to take profits and yields are as good a reason as any. The markets have sold-off for the last two days and the size of the sell-offs has been big enough to catch most trader's attention. Here are the ETFs that track the major market areas. Let's see how these sectors are faring. Basic materials is still firmly in an upswing. It's approaching a minor two month trend line and the longer term upward move is still firmly in place. This ETF would have to drop about 5% more to be worried. That means the last two days of the sell-ff are profit taking. Energy is the exact same analysis as basic materials. This ETF would have to drop 2.5% before we should become concerned about the degree of selling. Financials have been in a range for the last month, which is probably the formation of either a top or a base for further moves up. We won't know the actual direction until this ETF actually moves. Now this sector is approaching a crucial support level around $37.50 and a move below there could spell trouble. Also remember that financials are the largest sector component of the S&P, so here we have some concern. Technology is still in a rally, although this ETF is only about 1% above the trend line. The sell-off has been on low volume, so this sector isn't a major concern. Industrials are at the trend line and have sold off on heavy volume. They rallied off this trend line in late May. This sector is important to the rally, so a move below the trend line could raise a few caution flags. Consumer Staples are also at a trend line. However, this is a very slow moving sector and I wouldn't expect it to go crashing through any trend line in a rally or decline. Utilities are a big red flag. They've been declining since late May on heavy volume. That should cause some concern all across the trading world. Some of the decline is probably interest rate related. Utilities are considered a high dividend market area. As bond yields rise the increasing Treasury yields compete with utilities for investors. In addition, utilities have high fixed costs making this ETF more interest rate sensitive. This is a big warning flag. Health Care is approaching a support level, but like consumer staples this is a slow moving sector. Consumer Discretionary is approaching the trend line on somewhat higher volume. But it did this before and rebounded. 1.) Utilities: For people who believe in the Dow Theory (which I do), this is a bif warning sign. 2.) Industrials: declining on high volume. 3.) Financials: The largest S&P sector is near a trend line. Yesterday I wrote an article titled >Will the Real Trend Line Please Stand Up? I was writing about how trend lines can shift without effecting the overall trend. In the article, I used the SPYs as an example. Well, regardless of which trend line you use, it looks like the SPYs have broken the trend. Using the trend line futhest to the left, we have the trend rising just over the line followed by two days of higher volume selling. Using the trend line to the right, we still have a clean move through the trend with higher volume selling. Either way, tt looks as though the SPYs may be moving into a period of consolidation of their recent gains. However, this is not a complete disaster. Using a P&F chart, we see the market is still in am upswing -- although this chart too is also close to adding a downward column. Labor costs rose three times faster than the government's previous estimate last quarter, increasing the odds companies will push up prices. Federal Reserve Bank of Cleveland President Sandra Pianalto today also joined Fed Chairman Ben S. Bernanke in warning that prices are rising too quickly. European stocks posted their biggest decline in more than two months on concern policy makers will keep raising interest rates to rein in inflation. The S&P 500 lost 13.57, or 0.9 percent, to 1517.38. The Dow average fell 129.79, or 0.95 percent, to 13,465.67. The Nasdaq Composite Index retreated 24.05, or 0.9 percent, to 2587.18. While higher productivity can absorb higher labor costs, productivity also showed signs of decreasing. It's also important to note this latest rally started in early March -- nearly three months ago. Some selling might be warranted here simply as as traders lock in some profits. 1.0 percent in the nonfarm business sector. In both sectors, the first-quarter productivity gains were smaller than the preliminary estimates reported on May 3, due to downward revisions to output growth. 1.8 percent in nondurable goods manufacturing. Manufacturing productivity growth was slower in the first quarter of 2007 than reported on May 3, reflecting downward revisions to output per hour in both durable goods and nondurable goods industries. Output and hours in manufacturing, which includes about 12 percent of U.S. business-sector employment, tend to vary more from quarter to quarter than data for the aggregate business and nonfarm business sectors. First-quarter measures are summarized in table A and appear in detail in tables 1 through 5. This report has the markets selling because the decrease in productivity implies companies have less room to absorb costs, which further implies inflationary pressures may be increasing. Combine that development with the ECB's interest rate increase today and you have a market that is looking at rate increases in the near futures. This is from the same market that was looking for a rate cut a few months ago. In addition, Bernanke once again warned of inflationary pressures in his speech yesterday. However, although core inflation seems likely to moderate gradually over time, the risks to this forecast remain to the upside. In particular, the continuing high rate of resource utilization suggests that the level of final demand may still be high relative to the underlying productive capacity of the economy. Bernanke has made the exact same statement in the previous few Fed policy releases -- but no one listened. I am pointing this out because I am in a self-congratulatory mood and want to point out that I have consistently said the Fed would not lower rates anytime soon. Hey -- when you get something right in economics you really have to talk about it because it happens far less frequently than we would like to admit. The European Central Bank raised interest rates 25 basis points Wednesday, just as markets had expected. The ECB increased the key refinancing minimum bid rate to 4.00% from 3.75%. Likewise, it raised the deposit rate to 3.00% from 2.75%, and the marginal lending rate to 5.00% from 4.75%. Markets considered Wednesday's hike a foregone conclusion after European Central Bank President Jean-Claude Trichet signaled the move last month by saying the ECB would use "vigilance" in monitoring price risks. That word has heralded each of the past rate increases. The ECB has raised interest rates eight times by 25 basis points since the start to monetary tightening in December 2005. For the past decade, low-priced labor from China, India and Eastern Europe has helped much of the world enjoy economic growth without the sting of inflation. Now that damper on prices is beginning to reverse -- and global inflation pressure is starting to build. Companies in many countries are operating at close to full capacity, facing shortages of everything from land to equipment. Western workers and their low-cost rivals both are winning higher pay, thanks to rising demand. In some cases, the global links of the economy are increasing costs rather than lowering them, as far-flung businesses compete for the same resources. Central banks are increasingly worried about spare production capacity running out -- which could force them to raise rates to their highest level in years to stave off inflation. That could puncture the ebullience of stock and bond markets, which have become accustomed to a rare combination of fast growth, low inflation and low interest rates. Already long-term interest rates are on the rise, in anticipation: U.S. 10-year Treasury bonds hit a nine-month high of nearly 5% yesterday. "Markets have gotten used to the idea that the global economy will keep producing downward pressure on prices," says Ken Rogoff, a Harvard economics professor and former chief economist at the International Monetary Fund. "But that phase may be ending. The WSJ article points out three really interesting developments from globalization. 1.) Increased resource competition. As China and India heat up they will demand more raw materials. Considering these countries have a combined population of about 2 billion, that increased consumption of raw materials will have a tremendous effect on the overall world economy. It explains why the current US rally is largely a basic materials rally compared to the 1990s which was a technology rally. Simply put, there are more companies competing for resources now, which drives up prices, which increases inflation. 2.) Overall US Inflation isn't that high. But the Federal Reserve is attempting to cut increases off before they happen. Ever since Volcker crushed inflation in the early 1980s, the US economy has enjoyed a tremendous period of low-inflation and good overall growth. One of the reasons for that growth is lower inflation expectations. The Fed wants to keep it that way, as do other central bankers. Western workers and their low-cost rivals both are winning higher pay, thanks to rising demand. China and India have a long way to go until they reach parity with the US. However, it's clear that eastern wages are increasing which raises their standard of living. My guess is China and India are focusing on the really big picture economically -- as in decades. They realize the current generation and probably the next will not enjoy a western style standards of living. However, these countries are looking to 2050 or so and appear to be implementing policies with that year in mind. This is the same planning strategy other Asian Tigers employed starting in the 1960s with tremendous results. The number of homes listed for sale in 18 major U.S. metropolitan areas at the end of May was up 5.1% from April, according to figures compiled by ZipRealty Inc., a national real-estate brokerage firm based in Emeryville, Calif. The data cover all listings of single-family homes, condos and town houses on local multiple-listing services in those areas. The sizable increase is notable because, on a national basis, inventories of listed homes have typically been little changed in May during the past two decades, according to Credit Suisse Group. May is one of the peak home-selling months because families with children often aim to move during the summer vacation. Some of the biggest inventory increases last month came in the metro areas of Seattle, up 12% from April; San Francisco, 11%; Los Angeles, 10%; and Washington, D.C., 9%. Inventories also are up sharply from a year earlier. For the 15 cities for which year-earlier comparisons were available, combined inventory was up 29% from May 2006. Census data on new home inventory goes back to 1963. Prior to the latest down cycle, the highest inventory level recorded was 432,000 units in August 1973. Throughout the 1980s and 1990s, it was customary to have about 300,000 to 320,000 homes for sale, with peaks (in 1989 and 1995) of around 370,000. Will the Real Trend Line Please Stand-Up? I put technical analysis into two different time periods. There are the initial guys like Gann, Gartley and Schabacker who wrote in the early part of the 20th century. Then there is the later group like Pring and Murphy who helped to advance ideas in the later part of the 20th century. I personally like the writings of the earlier guys for two reasons. Nothing has changed in the way charts operate and the new guys seem to rely on indicators like the MACD and Stochastics at the expense of common sense. Schabaker wrote a book titled Technical Analysis and Stock Market Profits. In this book he devotes a chapter to trend lines. He is the first author who advanced the idea that a trend line can shift and change. The current SPY chart is a good example of this situation. Here's one chart of the SPY with a trend line. The main trend line on this chart makes perfect sense. It runs from a low point connecting various lows and provides a base for the SPYs advance. However, with this trend line the current rally has clearly broken through support, indicating a market reversal. Now here's a second chart. In this chart, the trend line has shifted a bit to the left. This trend line also makes sense, although it connects fewer lows on the upward advance. Now the question becomes which trend line is right? For that there is no clear answer. And there are arguments for both for and against a shifting of the trend line. The first trend line makes sense because the rally is a bit long in the tooth, especially for an economy that is slowing down. However, the second trend line makes sense for those who are arguing business investment is picking up and consumer spending is still strong. What this really means is for those who are long in the market, it is a time to extra-vigilant watching your long positions. Business activity in the non-manufacturing sector increased at a faster rate in May 2007, say the nation's purchasing and supply executives in the latest Non-Manufacturing ISM Report On Business®. Let's look a little deeper in the numbers. This is the second month in a row the overall index has increased. However, the overall index has fluctuated between a high of 59.7 and a low of 52.4. In other words, the index really hasn't moved much in a year. Today's overall number is the 12-month high. But I would like to see the index jump above this range before I get excited about a big move. However, the number does indicate business is expanding at about the same pace as the last 12 months. New orders increased for the second month in a row. This is also good news. But the month-to-month increase was from 53.8 to 55.5 to 57.4. In other words, it's an increase but not a really big increase. This number falls in with the overall activity indicator. It's good, but doesn't indicate a huge increase. It's more business as usual. Prices paid by non-manufacturing organizations for purchased materials and services increased in May for the 48th consecutive month. ISM's Non-Manufacturing Prices Index for May is 66.4 percent, 2.9 percentage points higher than April's index of 63.5 percent. In May, the percentage of respondents reporting higher prices decreased by 1 percentage points to 41 percent as compared to April. The percentage indicating no change increased from 54 percent in April to 55 percent in May. The percentage of respondents noting prices decreased remained the same at 4 percent in May. This is the kind of news that keeps the Fed on its toes. Orders and requests for services and other non-manufacturing activities to be provided outside of the United States by domestically based personnel in May increased for the second consecutive month after a month of contraction. The New Export Orders Index for May is 66 percent, compared to April's index of 55.5 percent. Of the total respondents in May, 69 percent indicated they either do not perform, or do not separately measure, orders for work outside of the United States. Sometime over the last few months when earnings season was in full swing, there was an emerging consensus stating exports and foreign markets would help US based companies weather an economic slowdown in the US. This was one of the reasons given for the strength of earnings during the first quarter. This number from the ISM report adds strength to that argument. Short version -- this report seems in indicate the status quo will continue. We didn't see a big gain, but we didn't see a big loss. Home furnishings retailer Bed Bath & Beyond Inc. late Monday warned that its fiscal first-quarter earnings may come in below Wall Street's expectations. The company forecast net income in a range of 36 cents to 38 cents per share for the quarter. Analysts polled by Thomson Financial expect a first-quarter profit of 39 cents per share. Bed Bath & Beyond said its same-store sales would rise about 1.6 percent in the first quarter, versus the 3 percent to 5 percent growth that was expected. According to the Yahoo Industry Center, BBBY is the largest home furnishings retailer by market share. That makes this an important announcement. Because BBBY is tied into the housing market, this shouldn't surprise anyone. However, because of the economy's lackluster 1st quarter numbers and the economy's dependence on consumer spending, it's important to keep an eye on the large retail companies to see how they are doing. This is from a WSJ article on Friday, but it is still important today. Can anything stop the rally, then? Many analysts noted that the recent rise in bond yields could move money to fixed income and away from equities. "In the short-term I think we're going higher because of liquidity," said Alan Lancz, president of Alan Lancz & Associates. "The caveat is, as interest rates go up, fixed income is a viable option." Today, the yield on the ten-year Treasury hit 4.96%, a level last seen in August of 2006, and fixed-income analysts said the yield on the ten-year might soon cross 5%. "If we cross that threshhold, we'll probably see money taken out of stocks and put into Treasurys," said Jim Herrick, head trader at Robert W. Baird. Here's a daily chart of the 10-year from Stockcharts. Notice that yields have climbed over the last few months, making the 10-year more attractive. However, interest rates are low by historical measures. Here is a chart from the St. Louis Fed that goes back to 1980. Notice the yields are very low by historical standards. 1980 was an incredibly difficult time for the economy as inflation was at incredibly high levels. Ever since Volvker's tenure at the Fed inflation has been far less an issue in the US economy. Hence, lower interest rates. While the 10-year is cheap by historical standards, it's at a good level by current standards -- that is, judging the yield and value from today's perspective. Something I find interesting is the 10-year is still trading at levels associated with the end of the 1990s. This is when the Federal Reserve retired the 30-year Treasury because the Federal government actually had a surplus. Compare that to the current situation when the government has issued over three trillion in net new debt over the last 5 years and you have to ask, "shouldn't the 10-year be trading higher?" In a positive sign for economic growth, a yardstick for business investment -- nondefense capital-goods orders excluding aircraft -- rose 2.1% in April, after climbing 4.6% in March and falling 2.4% in February. Economists viewed the reading as confirmation that business investment is on track to recover in the quarter and cushion an expected slowdown in consumer spending. The weakness in investment this year had caused concern among Federal Reserve officials. "We definitely seem to have turned the corner on business investment -- at least for now," said Ted Wieseman, an economist at Morgan Stanley in New York. Morgan Stanley raised its forecast for business investment in equipment and software, saying it will grow at an inflation-adjusted annualized rate of 9% in the second quarter, up from the 8% growth it expected ahead of yesterday's figures. The new forecast compares with a 2% growth rate in the first quarter and a 4.8% decline in the fourth quarter of 2006. Yesterday's report also offered evidence that businesses are rebuilding inventories, after scaling them back earlier this year in response to sluggish demand. Manufacturers' inventories rose 0.5% in April after gaining 0.2% in March and 0.1% in February. Shrinking inventories subtracted almost a full percentage point from the nation's annualized, inflation-adjusted economic growth in the first quarter, as businesses sought to clear their shelves of unsold goods. The trend "strongly suggests that inventories are likely to rise further in the months ahead and contribute heavily to second-quarter and possibly third-quarter growth," wrote Abiel Reinhart, an economist at J.P. Morgan Chase & Co. in New York, in a research note. Friday, the Institute for Supply Management, a purchasing managers' trade group, reported that the picture for manufacturing continued to improve in May. The index of manufacturing activity rose to 55 last month from 54.7 in April. Any number above 50 indicates expansion. Here's a pie chart of the US economy. Business investment is the third largest area of the economy. According to the Bureau of Economic Analysis, nonresidential investment grew at a seasonally adjusted annual rate of -3.1% in the 4th quarter of 2006 and 2% in the first quarter of 2007. These figures were cause for concern because they indicated business was shying away from investment. While that alone would probably not be enough to send the economy into recession, that combined with a housing slowdown was. However, there have been several stories over the last few weeks regarding a positive outlook for business investment. While the figures are not conclusive, they do indicate business may finally be increasing its pace of investment. How Expensive is the Market? Companies in the Standard & Poor's 500 Index may still be a bargain after the benchmark for U.S. equities surpassed its 2000 record. The index's 500 members are 45 percent less expensive relative to historical profits than when the index last peaked, and 30 percent cheaper than when it fell to a decade low in October 2002. Price-to-earnings ratios declined after companies reported 14 straight quarters of 10 percent-plus profit growth, the longest streak since 1950. The S&P 500 rose 0.8 percent to 1530.23 yesterday, eclipsing its previous high of 1527.46 set March 24, 2000, led by Exxon Mobil Corp., Goldman Sachs Group Inc. and Apple Inc. The gauge, whose members have a median market value of $14 billion, rallied 7.9 percent this year after first-quarter earnings climbed three times more than analysts' estimates. I think a comparison to 2000 level valuations is a poor choice, as the market was extremely overvalued by that time. However, I think the article makes a good basic point. Stocks aren't cheap, but they're also not expensive. I have become a bit more bullish of late. Consumer spending is increasing and it looks like business investment might be picking up. That being said, this chart is from macroblog. That second quarter of 2000 should remind us that it sometimes looks pretty sunny before the storm. Commercial and Residential Real Estate Economics. Same-store sales, the industry's important measure of receipts rung up at stores open longer than a year, were off 3.9% in the U.S., reflecting a 3.4% drop at the company's Sears Roebuck stores and a 4.4% decline at its Kmart properties. "We believe these declines reflect both increased competition and the impact of external factors such as rising energy costs, a slower housing market and poor weather conditions during the latter part of the first quarter," the company said in its earnings release. Sears Holdings does not hold conference calls with analysts as do most of its rivals. Ahead of this year's annual meeting, Sears Holdings warned that earnings would miss original projections. It forecast then earnings of $1.30 to $1.53 a share, and net income from $200 million to $235 million. This is in line with the results reported from Wal-Mart and other retailers. The article goes on to state Sears is about to begin a major marketing campaign. It looks like they need it right now. Orders placed with American factories rose less than forecast in April, while gains in capital-goods spending may presage stronger business investment in coming months. Bookings increased 0.3 percent, following a 4.1 percent gain in March, the Commerce Department said today in Washington. Excluding transportation equipment, orders gained 0.7 percent after a 2.4 percent gain in March. The slowdown in orders may be temporary, economists said. Demand is likely to pick up as the economy recovers from the slowest expansion in more than four years, they added. The signs of a rebound in business spending are consistent with the Federal Reserve's projection of faster growth later this year and into 2008. New orders for manufactured durable goods in April, up five of the last six months, increased $1.8 billion or 0.8 percent to $218.5 billion, revised from the previously published 0.6 percent increase. This followed a 5.1 percent March increase. New orders for manufactured nondurable goods decreased $0.5 billion or 0.2 percent to $199.6 billion. For the last three months, unfilled orders are up .5%, .6% and .7%. I should add that I am not a big fan of this statistic because it's pretty easy to cancel orders. But the market likes when unfilled orders increases because it indicates factories may have more future work to do. While this number came in below the market's expectations, it's still a good number. It plays into the "business is increasing it's spending" theme that seems to exist right now. Caution and skepticism prevail across Wall Street and Main Street, as investors have yet to fully buy into the market's upward momentum. Institutions and hedge funds, which dominate trading in the U.S. market, continue to hedge their long positions by shorting other stocks, shorting index futures, and purchasing index put options, which are among the most-active options on a daily basis. Mutual-fund players aren't terribly sanguine either, preferring to avoid the playing field. In 2000, when the SPX was last in the 1,550 area, domestic stock funds enjoyed $259 billion in inflows. As of the end of April, domestic stock funds are on pace for only $63 billion in inflows this calendar year, as investment dollars continue to chase overseas markets. All of the broad indices are hitting new highs, yet the public is still not engaged. As contrarians, this is a welcome indication that plenty of money still lingers on the sidelines. As an example of the pervasive shorting activity that continues as the market achieves new all-time highs, odd-lot short selling continues to build momentum. The smoothed 20-day moving average of odd-lot short positions has been slowly building up speed for the past 2 years and is now near a 7-year peak. Some are viewing the increased shorting activity as the work of hedge funds and thus not an indicator of pessimism surrounding stocks, with the implications being that short interest can no longer be used as a contrarian bull signal. My view is that regardless of the motivation for the huge short positions, they have to be unwound at some point in the future and thus represent future buying power. Let's look at these developments in a bit more detail. The lack of participation in the US market by the "little guy" is interesting. My guess is there is a combination of factors at work. 1.) A long hangover from the 2000-2001 sell-off. 2.) The number of people who respond the country is on the "wrong track" in political opinion polls has been very high for about two years. I am wondering if people's perception of the economy is negative as well. 3.) There is a large amount of skepticism about the market's advance. In addition, the large short position in the market provides tremendous upward pressure. As the market rises, shorts have to cover their positions. Will The Economy Rebound In The Second Half Of the Year? Let's break the economy down into it's subsections. Consumer spending -- which accounts for 70% of overall growth. This section of the economy has showed resilience during the housing slowdown. The latest figures from the BEA showed personal consumption expenditures increasing .5%. So long as this area of the economy is increasing, the other areas will have to really slow down to get the US economy to a recession. The roots of the first-quarter slowdown trace back in part to late last year when businesses experienced a greater-than-expected drop in sales, especially of vehicles. "Sales simply weren't up to expectations," said David Resler, chief economist at Nomura Securities International Inc. "Rather than order new output...they liquidated existing stocks and didn't replenish them in the first quarter." That created an air pocket in the economy during the quarter as inventories were drawn down. Inventories fell by an annualized $4.5 billion in the quarter, the Commerce Department said, a big shift from the government's previous estimate of a $14.8 billion gain for the period. Some recent figures on industrial production and retail sales suggest that businesses may not want to liquidate inventories much further, Mr. Resler said. Here's the chart of the year-over-year change in durable goods orders from Martin Capital. While it shows an improvement last month, we're still at low levels relative to a year ago. As such, we should be cautiously optimistic about this indicator. So -- the business investment indicators are looking good. • Housing inventories are at record levels, in both absolute terms, and as a percent of owner occupied units. 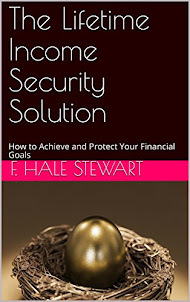 • Households are already dedicating a record percentage of their income to mortgage obligations. • Banks are tightening mortgage-lending standards. What's interesting is this hasn't bled over into the economy -- yet. My theory is that stock valuations have replaced home valuations from the consumer's perspective. As long as stocks continue to move higher, the consumer will continue to spend. However, so long as we have the housing market in decline we will have to make sure it is not effecting consumer spending. 1.) The Consumer continues to spend. 2.) Several Indicators show business investment may be picking up. 3.) Housing is still a mess, but so far the damage has miraculously been contained. Because we also turned negative in 1987 prematurely, about two or three months prematurely, and people thought we didn't recognize a new era of valuations. The two things Wall Street was talking about to support the market before the terrible October decline was the huge amount of liquidity and the big shrink in equities. Then liquidity was coming from Japan because Japanese brokers had started selling U.S. stocks. The big equity shrink was partly the result of LBOs, but mostly from companies buying back their own stock. There were other parallels. Breadth was deteriorating and investors were gravitating to big-cap stocks from small-cap stocks. There was an acceleration of inflation, which we are seeing now. There was an acceleration of interest rates, and the market kept going up in the face of higher rates, although, back then, the rise in rates was greater. There were a lot of similarities. First, I am loathe to compare any economic or market period A to period B. There are simply too many economic and technical factors in an economy like the US to warrant this kind of comparison. The market and the economy are ever changing. That being said, this is the first market observer who has said increasing liquidity and stock buy-backs are a net negative for the market. I have interpreted these developments as a net positive for the market for the simple reason more money floating around the world plus fewer outstanding shares means more money is chasing fewer things to buy which equals higher prices. Let's look at his observations to see what is going on. 1.) I've written a fair amount about all of the M&A activity going on. I remember seeing an article in CBS Marketwatch that showed M&A activity for May was very high (sorry but I can't find the story). In short, there has been a ton of mergers over the last 6 months or so. It seems like every Monday we have a new round of mergers to consider. I have argued this is bullish so long as the mergers continue to make sense -- which most have. For example, the Wachovia/AG Edwards deal was a great idea because it allows Wachovia to sell financial products to AG Edwards customers and creates a retail firm with the size, resources and current customer base to compete with Merrill Lynch. This is just one example of some of the positive mergers that have occurred over the last 6-9 months. 2.) According to the Federal Reserve's Flow of Funds report (see page 45) there has been a net decrease in equities issued starting in 2005. The latest seasonally adjusted annual rate is -277.2 billion. So, the corporate buy-backs and deal making are acting to lower the amount of outstanding shares. 3.) Interest rates have started to creep up lately. Here is a chart of the 10-year Treasury. I'm an old-fashioned 10-year guy. I think bond prices are determined by three forces: inflation expectations, equity performance and interest rate policy. I'm not a big fan of the 10-year minus TIPS spread analysis. I think the recent sell-off in Treasuries is simply explained: stocks are making more money and with the perception the economy will rebound in the second half of 2007 there is a concern about inflation heating up again. 4.) This analyst seems to be using a different breadth indicator (many analysts have their own proprietary indicators). However, these publicly available breadth charts from Stockcharts indicate NY new highs/new lows and overall market breadth is OK. The NASDAQ breadth has been an issue for some time, although the new high/new low numbers are good. However, the current rally is a basic materials rally, not a tech rally so a better breadth indicator from the NYSE makes sense. 5.) According to Barron's the S&P 500's PE is 18.42. While this isn't cheap, it's not expensive either. So, this analyst has some interesting points to make. However, I think he is wrong in concluding these are bearish indicators. I think they are all slightly bullish with the exception of the 10-year situation. Even there, however, rates are still low by historical standards. The 10-year is still under 5% which is really low. So -- I respectfully disagree.